This post is brought to you in partnership with Disney-Hyperion. 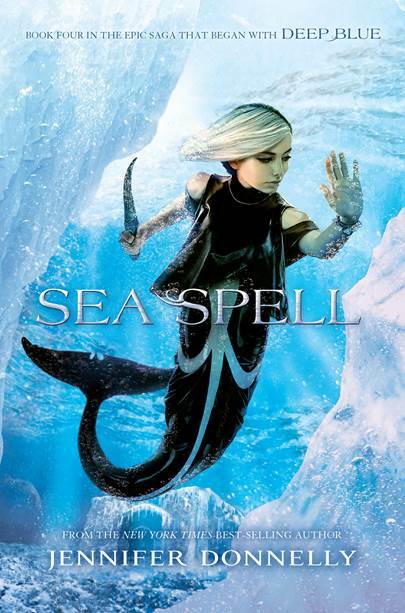 Thanks to them, I am hosting an awesome giveaway for Sea Spell by Jennifer Donnelly, which is book four (the final book!) in the Waterfire Saga series. It is in stores June 14th! Interested in reading the prologue? Check it out here. 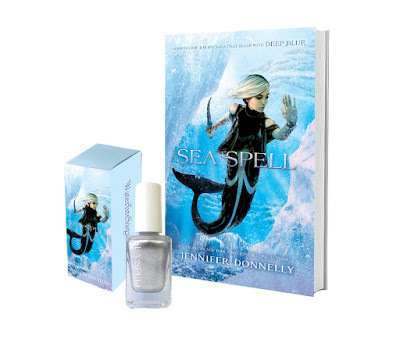 One lucky winner will receive a copy of Sea Spell and matching nail polish. The giveaway is open to US readers only and prizing is provided by Disney Publishing. This is the perfect prize pack for summertime! To learn more about the Waterfire Saga series, check out the website. ABOUT THE BOOK: At the end of Dark Tide, Book 3 in the Waterfire Saga, Astrid leaves her mermaid friends to confront her ancestor, Orfeo, the evil force behind the rise of the monster Abbadon. Orfeo possesses one of the six talismans that the merls need in order to keep the monster locked up forever. But without the ability to songcast, how will Astrid be able to defeat the most powerful mage in history? 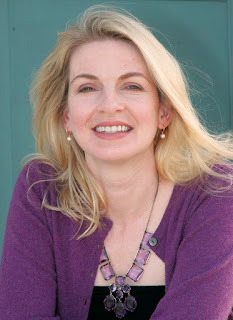 ABOUT THE AUTHOR: Jennifer Donnelly is an award-winning author of both adult and young adult books, including Deep Blue, Rogue Wave, and Dark Tide, the first three books in the Waterfire Saga. For adults she has written a trilogy of best-selling books that includes The Tea Rose, The Winter Rose, and The Wild Rose. Her first young adult novel, A Northern Light, received many accolades, among them the Los Angeles Times Book Prize, a Carnegie Medal in the UK, and a Michael L. Printz Honor. Her second young adult novel, Revolution, was named a Best Book of 2010 by Kirkus Reviews and School Library Journal, and the audiobook received a 2011 American Library Association Odyssey Honor. She lives in New York’s Hudson Valley. For more information, visit www.jenniferdonnelly.com. The giveaway deadline is June 15th and please refer to my giveaway rules. Good luck!